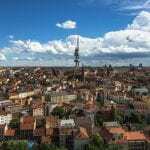 Home » Articles » Europe » Czech Republic » Prague Cafes Guide – 30 of the Best Cafes in Prague by Neighborhood! When it comes to Prague cafes the city is full of them but choose wisely because some are definitely better than others. Often times you just need your caffeine fix – and this can be especially true if you’re traveling. Early mornings, long layovers, flight delays, accommodation hiccups – you name it, coffee can usually get us through. It has become an essential part of our lifestyle on the road – whether we need to get some work done or just want to relax and people-watch, cafes and coffee shops seem like the perfect place to do it. Cafe culture is huge in Europe, and Prague is no exception. There are tons of Prague cafes situated around the city just waiting to be discovered by wanderers like yourselves. Sure, you’ll find a few famous chain coffee shops here, but the real charm is in the one-of-a-kind, locally-owned cafes that you have to look a little harder for. Luckily for you, we’ve already explored some of the best cafes in Prague and we’ve put together this handy Prague Cafes Guide for all your coffee needs. In our years of living in Prague we have visited many cafes in all different neighborhoods and have put down gallons of coffee. We’re now bringing our combined experience to help YOU find the best coffee and the best cafes in Prague! So don’t settle for Char-bucks, head to one of these amazing Prague cafes for your fix! Just a stone’s throw from the Václavské náměstí tram stop, this restaurant and cafe will not disappoint. Whether you’re looking for a full meal or just coffee and cake, they’ve got something for you. Styl & Interier’s atmosphere is, well, pretty stylish. The cafe also doubles as a boutique shop where all the furniture and accessories on the inside are also a sales display in case you’re looking for some home decor inspiration. The classy interior and the garden seating during the summer make this place a favorite among locals and tourists alike. 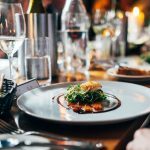 You’ll be greeted by friendly English-speaking staff as soon as you walk in the door and they will show you to your table – but be aware reservations are recommended here! This place fills up quick. Stop in and try the unique blend of Brazilian and Guatemalan coffee roasted just for this cafe, or opt for one of their homemade lemonades instead. Either way, you’ll be happy with your choice! This renowned historical cafe in Prague is situated just down the street from the National Theatre and is worth a visit while you’re in town. Café Louvre first opened its doors in 1902 and was a favorite hangout of influential figures like Albert Einstein, Franz Kafka, and T.G. Masaryk. The cafe takes pride in the role it played as a meeting space for some of the greatest thinkers of the 1900s and preserves the history and atmosphere so we can enjoy a similar experience today. This elegant cafe serves breakfast, lunch, and dinner as well as a variety of Viennese coffee and pastries, so feel free to stop in at any hour of the day. If you’re really looking to immerse yourself in the historical experience, show up for the five o’clock tea, where you will be served blends of black teas along with sandwiches and pastries. Or, if it’s more your pace, try a game of billiards in one of the most famous billiards halls in Prague. This is another one that gets crowded pretty quickly, so we’d recommend making reservations first! Located just a few minutes from Wenceslas Square, Friends Coffee House is one of our favorite cafes in Prague. With its unique atmosphere, friendly staff, and well-priced menu (especially for being located in the center! ), this is one you won’t want to miss. Once you walk into Friends, you’ll feel right at home. 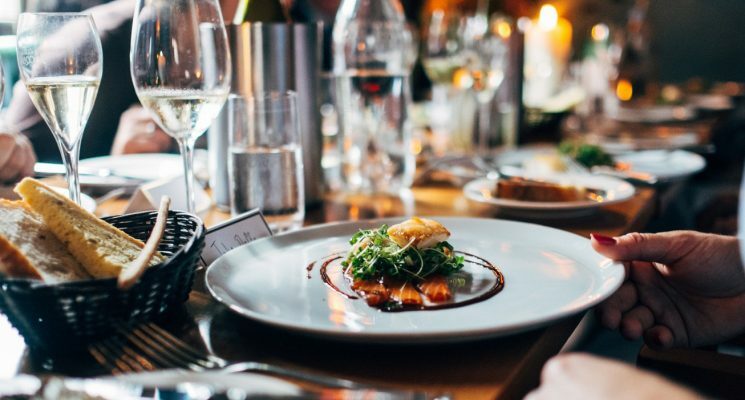 Whether you’re looking to socialize with friends over a quick bite to eat or trying to get some work done, this place is perfect for you. Friends is divided into several different rooms, each with a different vibe. Grab a seat in the greenhouse if you’re looking for a bit of sunlight, or settle into an armchair in the back room for a cozy independent work station. They even have meeting rooms and shared workspaces in the very back, so if you need to maximize your concentration and productivity, you can do so. With the Leonora coffee blend, their delicious pastries and savory paninis, this is truly one of the best cafes in Prague, especially if you’re looking to get some work done. It’s usually pretty quiet and the atmosphere is calm, so stop in and get to work! The name “La Bohème” actually represents a group of coffee professionals from around the world led by Charles Fleer, whose mission is integrity and transparency in the coffee industry. So, when you visit this cafe in Prague, you’ll be getting a high-quality cup of coffee while supporting a good cause. They source coffee from all over the world: from Ethiopia to Brazil, Mexico to Costa Rica, there’s a wide variety of blends to choose from – all sourced in an ethical and environmentally-friendly manner. As if that wasn’t reason enough to visit, the friendly staff, comfy armchairs, delicious pastries and quiet atmosphere make this one of the best cafes in Prague. Their extensive menu makes it clear that they take their coffee seriously and you’ll be able to find something to fit your taste. They’ve got daily brews on rotation with a variety of flavors for you to choose from – and if you’re not a coffee connoisseur, just ask the staff. They really know their stuff and they’ll be happy to make a recommendation! This Prague cafe is so popular that they have 2 locations! The roastery and cafe, is located in Vinohrady, while the other, simply Cafe Letná, is in Holešovice. No matter which location you decide to visit, you’ll find the same excellent quality of coffee and service so you won’t be disappointed. Dos Mundos, meaning “two worlds” in English, got its name from blending two worlds – the green coffee world of the farmers and and the world of the consumer (that’s you!). Their mission is to do good by both the farmers and by us, so everyone in the coffee industry is happy. They take pride in the fact that they maintain direct relationships with coffee farmers and they sample from the best stock all over the world, from Ethiopia to South America to Indonesia. From here, it is shipped directly to Prague to be roasted in their roastery on Korunní. And, if you’re looking to learn more about coffee preparation and varieties, they offer coffee tasting events as well as coffee workshops, so you can glean some valuable knowledge from the experts. Right now, they are serving coffee from Guatemala, Ecuador, El Salvador, and Honduras – and this can all be prepared by any of their alternative methods, including chemex or the aeropress set. Their Cafe Letná is a bit smaller than the original roastery, but with the crisp interior and same great coffee, the experience will be just as great. Cafe Letná also offers small meals, pastries, breakfasts, and wine in the evening. Opened in March 2019 The Miners Coffee & Characters is the sister cafe to Barry Higgel’s in Holešovice. From the moment you step foot in the door you can tell they are serious about their coffee in this cafe. This Prague cafe offers both espresso style coffee and handmade drip coffee. Coffee snobs will be happy to discover that whichever method you choose the selection doesn’t just include coffee from different parts of the world, but it also includes three different qualities of coffee to choose from – Foundation, Discovery, and Rare. In addition to coffee Miners also has toasted sandwiches and sweets on offer, and there are even vegan options! Plus it’s a great spot to work from with super fast wifi, and comfy seating. Just a short walk from Náměstí Míru, this is a one-of-a-kind Prague cafe you won’t want to miss. While Anthill serves the classics that every coffee lover would dream of, they also offer a wide variety of traditional Vietnamese coffee that’s “phin-filtered”, as well as matcha drinks. And while you’re at it, be sure to try some Vietnamese specialty pastries or small sandwiches! If you’re feeling social, check out some of their events as well – their large basement area frequently hosts live music, life drawing classes, game nights, film screenings, and more. Moreover, the staff at this family-owned cafe is passionate about what they serve and happy to chat with curious visitors about the cafe’s background. So, if you’re looking for a little window into Prague’s large Vietnamese community, or even if you’re just looking for a quick pick-me-up, Anthill is perfect for you. Right next to Riegrovy Sady, this dog-friendly Prague cafe is a real treat. Coffeepark offers a wide variety of brunch and lunch options, as well as coffee, tea, and gluten-free specialty pastries. They’ve even got some treats on the menu for your dog! Whether you’re a dog-owner or just a dog-lover, you’ll love the atmosphere of this cafe. With puppies roaming around all the time, who wouldn’t? Just be careful: some of the pups might get hungry and try to snag some of your meal – we speak from personal experience! This cafe is great for getting your work done or for brunching with friends. The brunch offer is a great deal – it comes with an entree, an orange juice, and coffee or tea of your choice. And if you’ve still got room, don’t forget to grab some gluten-free cake on your way out! Another Vietnamese-owned cafe located just across the street from Žižkov Tower, this is one of the best cafes in Prague for getting your work done. With good, inexpensive coffee and a quiet environment, Coffeeholic is perfect for all you freelancers out there. The staff is friendly and they’ve got a wide selection of coffee and tea for you to choose from, as well as a few freshly made pastries. They also serve breakfast and brunch, although the options aren’t as extensive as some of the other places we’ve mentioned. However, the options are largely Vietnamese-influenced, so you’re sure to get a unique homemade dish if you opt to eat here, making for a one-of-a-kind experience! Just down the street from Jiřího z Poděbrad in the heart of Žižkov, this Prague cafe doubles as a stylish vintage store. Come for the coffee and stay to browse the bohemian interior goods and fashion for sale. Boho Cafe & Store’s trendy interior is carefully designed and the lively, hip atmosphere reels visitors in. Who knows, after your afternoon coffee you might end up staying for a locally-brewed beer, a fresh cocktail, wine, or a bite to eat! If you’re visiting during the summer months, be sure to stop by for the Boho street market on Saturdays. In addition to their regular offer, they’ll have even more second-hand fashion and interior accessories for sale. Just be aware they are not open on Sundays! Off the beaten path, Café na půl cesty is more than just a cafe. Yes, their coffee, lemonades, and light eats are amazing, and this cafe is perfect for parents with children who can play in the park while the parents enjoy their beverage on the terrace outside. However, there’s something even more special about this place. They work with a company called Green Doors that helps people with mental health conditions go through rehabilitation by training them and giving them valuable work experience. So stop in to enjoy the drinks, snacks, and the diverse cultural program. 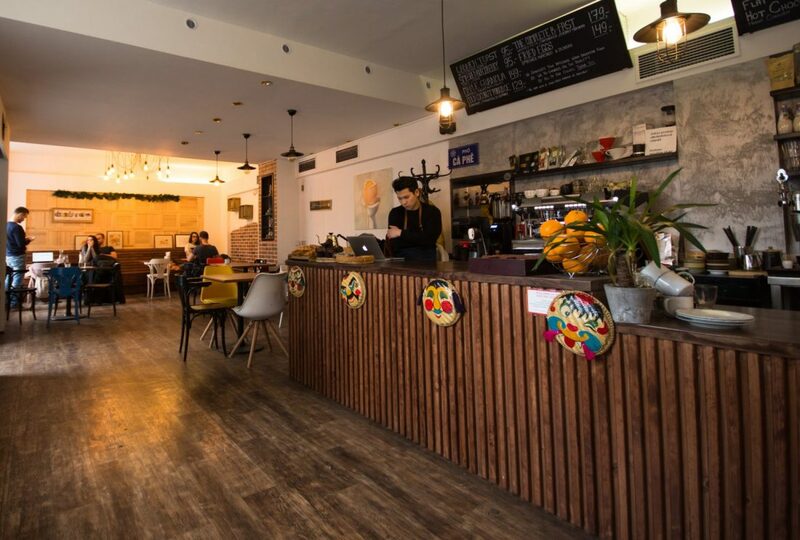 Whether you’re looking for live music, social meetups, workshops, counseling sessions, or specialized food events, this unique Prague cafe will have them – just be sure to check the schedule on their website! Café Start is another cafe that works with people with mental disabilities. Established in 2013, the founders of this cafe aimed to build a space in Prague’s Krč housing estate where people could meet, learn, and relax while taking advantage of live music or other cultural programs. As for their offer, they only want to serve the best. They buy their products, including beer, cider, and lemonades, mostly from local sources, with the exception of their coffee. They serve Vescovi coffee from Italy and all coffee drinks are served to the Italian standard to ensure the best quality. Stop in to have a chat with the friendly staff and enjoy some homemade snacks! Located just across the river from Old Town in Malá Strana, this classy cafe is one of the best cafes in Prague. Cafe Savoy has become well-known for their wide variety of not just coffee and baked goods, but also for their Czech dishes and French classics that are served for breakfast, lunch, and dinner. They also offer a degustation menu with a wine pairing if you’re feeling extra fancy. This cafe is a bit pricey, but for the quality of food and service you’ll be getting, it’s so worth it. The elegant wooden interior is warm and inviting as soon as you walk in and the display of pastries at the front will dazzle you. Perfect for a quick breakfast in the morning or for a fancier meal later on, you’ll be satisfied with whatever you decide to order at Cafe Savoy. Café Lounge has been featured in many publications and won many awards for its delicious food and incredible service. The coffee comes from Czech and other European markets and they offer all the classics, including filtered coffee. They also offer breakfast, lunch, dinner, and a smaller cafe menu to choose from featuring Czech classics, pastries made at their own bakery, and a wide selection of wines. The chef, Michal Černý, worked in Michelin star restaurants for a number of years before starting at Café Lounge, so you can expect the best quality. 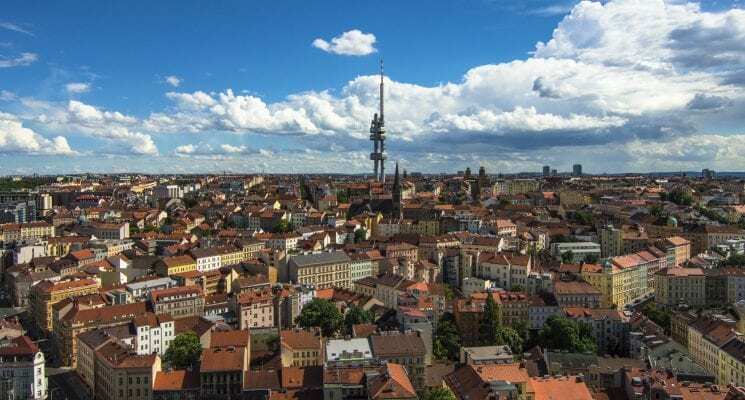 With its cozy, romantic interior, wide selection, and high-quality dishes, this place is one of the best cafes in Prague and is a favorite for tourists and locals alike. Just make sure to make a reservation! Kavárna co hledá jméno, which means “cafe without a name”, is unconventional to say the least. Built inside what was once a carpenter’s shop, this Prague cafe boasts an authentic, spacious, and rustic interior that you won’t find in any other coffee shop. 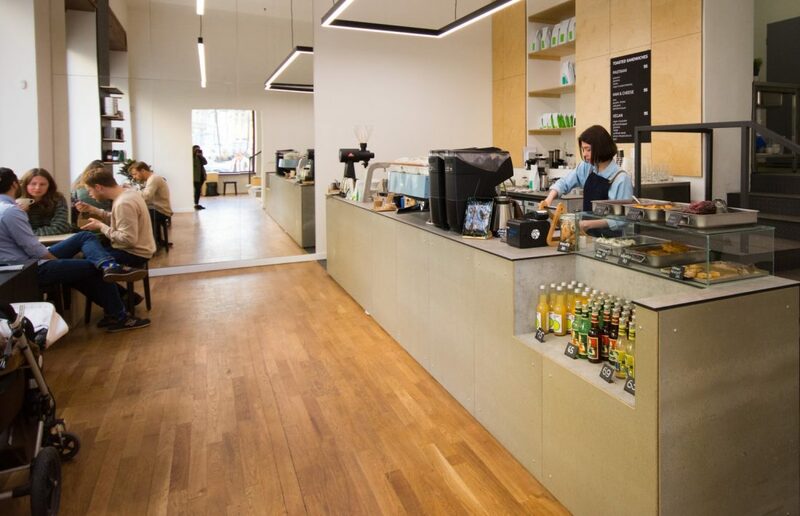 In the morning and throughout the day, this cafe will serve all your coffee needs – whether you’re looking for a classic beverage or something a bit fancier. At present they are serving Kolumbie Faiber Barrios coffee from Colombia, but they sometimes switch up the supplier. They also have a few breakfast items to choose from during the week or stop by for brunch over the weekend. 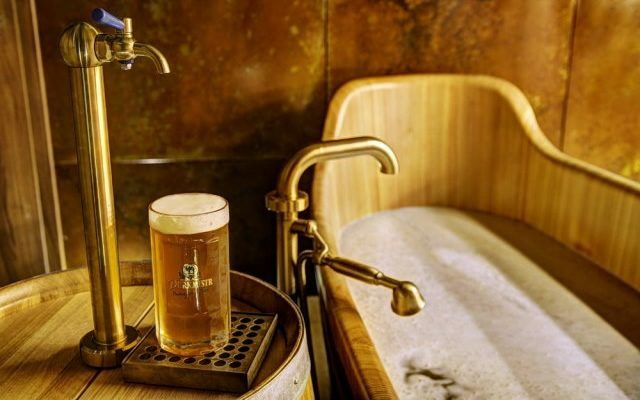 Throughout the day, watch the quiet cafe transform into a livelier scene and try some of the wine, spirits, or local beer from the Matuška brewery. While you’re there, make sure to check out the gallery and the multifunctional space. They sometimes host events there and you can even rent out the room yourself. Last but definitely not least, there’s an outdoor yard space for visitors to enjoy during the summer months where they host live music. 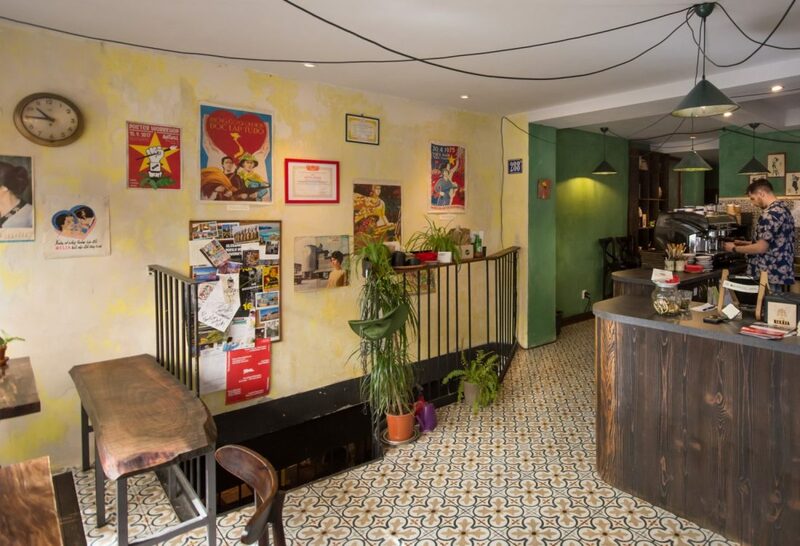 Cafe Calma is a small cafe tucked away in a corner of Prague 6, and is one of the city’s best. With a calm, inviting atmosphere and staff that greets you from behind the counter as you walk in, you’ll undoubtedly feel at home. Once you seat yourself at a table, the staff will come for your order, and boy do you have a wide variety to choose from. They serve all the caffeinated classics you could dream of as well as some other specialty drinks. As for food, they offer breakfast, lunch, and dinner. Good luck making your decision between the baguettes, paninis, salads, quiche and pasta they offer – you can’t go wrong with any of it. And to top it all off, they also offer freshly made pastries and cakes. If they have it while you’re there, we recommend the chocolate eclair! This multifunctional cafe in Prague is worth a visit just for the sheer amount of activities you can do here. VNITROBLOCK is a repurposed building that has basically transformed into a creative complex with an industrial vibe. But first, their coffee. The cafe, called “Signature”, is in the center of the multipurpose complex, and serves all the caffeinated classics your taste buds desire, as well as some prepared by alternative methods. If you’re not into coffee, try a homemade lemonade and some fresh cakes and pastries by their daily offer. Or, in the evening, enjoy a beer, wine, or cider. At the cafe, there is also a boutique selling fashion and accessories so feel free to browse around while you enjoy your drink. VNITROBLOCK also houses a small cinema, a dance studio, an art gallery, a room to rent for meetings or corporate events, a multimedia studio, a florist shop, and a sneaker shop. Basically, you could spend an entire day at this place without getting bored – so make sure you set aside some time for it during your trip! This Prague cafe is just a short walk from Letná Park and a favorite among locals and tourists alike. The coffee at The Farm Letná, as well as most of their other ingredients, is sourced from local farmers and is delicious. They offer an amazing brunch and a few sandwich and meal options for later in the day – and a lot of their items are vegetarian-friendly and they sometimes offer vegan options, as well! The staff is always super friendly and enthusiastic about what they’re serving and the prices are good for the quality of food you’re getting. If you’re around the Letná area, be sure to stop in and say hello! Located off the beaten path in Holešovice, Barry Higgel’s Coffee House has become a daily visit spot for us. The workers greet us merrily every time we go in and their coffee is always high-quality and consistent. And because of the location, it’s also pretty cheap! They don’t have a huge food menu – just a few pastries usually (which are to die for, by the way), but they also serve freshly-made sandwiches that are perfect for lunchtime. They even offer vegetarian or vegan options if you snag one before they run out! If you’ll be in town for a while and you’ll be close to this cafe in Prague, we recommend picking up a loyalty card. Also, bring your own to-go mug for a small discount! This is truly one of the best cafes in Prague and it’s a favorite spot of ours to go and do some work or just to read. The quiet, friendly atmosphere will make you feel relaxed and at home during your visit. This Prague cafe is one of the trendiest places in Holešovice. Very popular among locals for its reasonable prices and high-quality service, you’ll be quite satisfied with your visit here. Phill’s Twenty7 was established by founders who traveled the world learning about local cuisines, you’re sure to find some unique and delicious dishes. The hip, simplistic, and bright interior will invite you in to take a seat and the coffee and food will make you stay. With their daily menu changing each day and a wide array of pastries and cakes to choose from, you’ll want to keep coming back to this place to see what’s new! Kafe Karlín is one of the best cafes in Karlín. A small espresso bar with minimal seating, this place is the perfect spot to stop in and get your morning coffee before going exploring around town. They also have a small selection of pastries to go along with your caffeinated beverage. The staff is friendly yet professional, as they only want to serve you the very best. The cafe operates with Kavovy Klub, an organization that takes pride in teaching locals to drink and prepare high-quality coffee. In fact, in Kafe Karlín, they roast their own coffee and they use only 4% of the world’s best coffee beans. If you’re interested in learning more about making and serving quality coffee, check out some of Kavovy Klub’s training courses while you’re in town. Café Martin is another training workplace for people with mental disabilities, helping them gain confidence and work experience for the future. Café Martin serves classic coffee drinks that they roast in house as well as homemade lemonades and syrups, teas, and homemade desserts ranging from cakes to marmalades. And, if you try something you like, you can always buy more to take it home! If you’re not close to the Prague 8 location, you can always visit their new location in Prague 3, or visit their small gift shop to support the cause. This urban cafe is popular for its vibrant interior and its unique approach to coffee. In fact, Můj šálek kávy is the home cafe of the Czech doubleshot roasters! They serve two different espresso blends from Brazil and Kenya along with a few varieties of filtered coffee. If you’re not sure what to order, just ask the staff and they will be able to point you in the right direction for your tastes. Or, you can order a tasting flight of three coffees of your choice! In addition to their coffee, their brunch is absolutely delicious and they also offer a small selection of pastries and lunch, dinner, and weekend items. Their cozy warm interior and friendly, knowledgeable staff make this the perfect place to meet friends for brunch or to get some work done during the quieter hours. Be sure to stop into this Prague cafe if you’re in the neighborhood! Located directly on the Rokytka bike trail, this Prague cafe is connected to the MTV Fitness complex in Residence Eliška. So, whether you’re staying in the area during your visit and want a quick morning coffee or if you’re looking to get a workout in and a drink with a snack after, this place is perfect for you. MTV Cafe serves all the coffee classics you could hope for plus a few varieties with ice cream. If you’re not in the mood for coffee, they also offer lemonades, beer, spirits, and an extensive wine list. All of this is quite reasonably priced considering how far away from the center this place is. The bright stylish interior along with the cheap drinks and homemade snacks and pastries make this place worth a visit if you’re in the Prague 9 neighborhood! This sunny, cozy cafe is full of personality. The enthusiastic at staff Coffee Room is ready to chat with visitors about anything from the menu items they’ve ordered to the sports games coming up. Their espresso comes from European roasters and is reasonably priced, and they offer a wide range of classic coffee beverages. To go with your coffee, try something from their fully-vegetarian breakfast menu. From avocado toasts to smoothie bowls and vegan Asian dishes, even though the menu is small you’ll be able to find something you like. And don’t forget to try the specialty gluten-free pastries! Just down the street from Coffee Room, Coffee Corner is hands-down one of the best cafes in Prague. With a trendy interior setup and friendly English-speaking staff, it is a tourist’s and an expat’s dream. They have a pretty extensive menu of brunch, lunch, and dinner options, as well as freshly baked cakes and pastries to enjoy along with your coffee. Personally, we recommend the carrot cake – it’s the best you can get in Prague! As for the coffee, they serve a variety of classic drinks as well as the iced versions (without the ice cream in this time) with a few syrup options to add a little flavor to your drink. For those of you who are vegan or lactose-intolerant, they also offer several different milk alternatives. Our personal favorite is the iced latte with hazelnut syrup! This cozy cafe in Prague can get pretty lively, especially during the weekends, so be sure to make a reservation if you want to get a table! Otherwise, you’ll have to take your carrot cake home with you. Café V lese is built on the site of what once was the Shakespeare Cafe. The inside of the cafe will take you back in time to the 1970s and is the perfect place to meet up with friends. This Prague cafe is unique because it opens at 4 pm every day, so if you’re looking for brunch or a morning coffee you’ll have to go somewhere else! 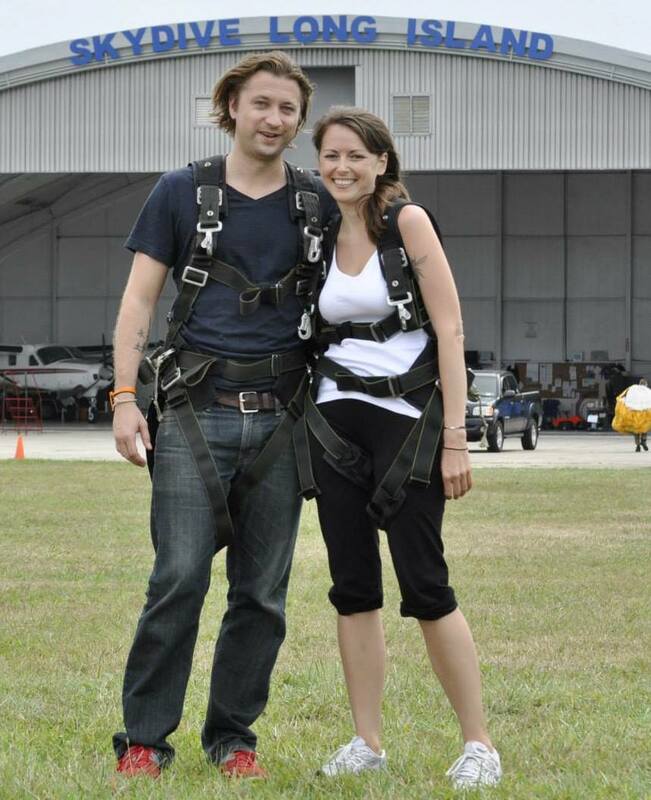 However, their program of events makes up for their shorter operating hours. Their goal is to create a lively environment where people can get to know each other and collaborate on ideas, so they make a point of hosting concerts, film screenings, discussions and markets as often as possible. As for concerts – they’ve got a music club in the cellar! As for their coffee, they serve espresso that comes from the Coffee Source roaster in Vršovice and their drinks are surprisingly low-priced since they are so close to the center. Since they are more of an evening place, they also have a selection of spirits, wine, and beer, so be sure to stop in for an evening and check out one of their events! This Prague cafe is inspired by the style of the 1930s. Opening at 10 am and no earlier, Café Sladkovský is perfect for a mid-morning coffee, breakfast, or lunch. They serve espresso to the Italian standard for a good price and they get a bit creative with some of the varieties they offer. If you’re not a coffee person, they have extensive tea and lemonade lists, as well. They also have a large menu of hot food items – from burgers to omelettes to sandwiches to pasta, you’ll be able to find something to fit your tastes. At night, this place gets packed with locals so expect a more lively environment and make a reservation if you plan to go during the evening! Café Jen is a special place. It started as the brainchild of two best friends who wanted to create a casual space where people could come to enjoy coffee from European roasteries and delicious homemade breakfasts and cakes. Now, it is one of the most popular cafes in the neighborhood of Vršovice. The focus on specialty coffee is one of the trademarks of Café Jen. They have formed a long-term relationship with a British roastery, which in turn has formed long-term relationships with coffee farmers around the world, encouraging transparency and integrity within the coffee industry. Right now, they serve three kinds of espresso and they sell more varieties of beans for you to take home and make yourself. Their breakfasts are unique and creative combinations and during the weekend you can check out their ever-changing specials. Plus, all their cakes are made from scratch in house and they are always trying new recipes – so expect to see new creations popping up all the time! While the coffee and breakfasts are what reel visitors in for the first time, their friendly, knowledgeable, all-female staff has created a community around this little Prague cafe. If you visit, make sure to check out and add to their hashtag, #GirlsMakeCoffee. So there you have it – all the best cafes in Prague no matter what corner of the city you end up in! 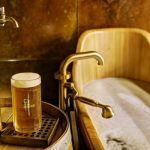 Whether you’re looking for a quick cup to-go on your way to the train station or you want to sit down and have brunch with your coffee on your first morning in town, there will be somewhere on this list to fit your needs. So sit back, relax, and enjoy the specialty coffee that the cafes in Prague can offer you. Drink up!